In all my time at WGC I’ve been searching for the perfect gym challenge, and that’s over 11 years now. Ive seen combinations from all disciplines absolutely destroy and bring exceptional athletes to their knees. Ive seen the fit and Ive seen the fun athlete compete and push themselves in their own class equally as hard. So finding the perfect workout to suit them both is quite a challenge, but I think I have done it. But before I go onto the perfect gym challenge, its important to reflect on what makes somebody WANT to go to the gym and to do that you must understand your reasons for going. This year for me personally my drive and focus has been crushed beyond anything I have ever experienced before. Ive always bounced back and always had a drive to keep me pushing in the gym and working hard and always enjoy a visit to the gym. This has been my passion for so many years that everyday I’ve always been wondering what will be my next session be like? So my surprise this year to find myself in probably the worst shape of my life , having been affected by bad luck, injuries, personal loss, lack of motivation and the discovery of high blood pressure and the eternal issue of being on medication. I can say now categorically at the start of 2017 I was not expecting such a disastrous new year for my me physically. So now I find myself searching for the perfect gym challenge to help rescue me and find me again wanting to bring that fire back in my belly instead of watching the waistline grow and see a pattern develop where going to the gym is no longer an option but an inconvenience . So this is where I look for the perfect gym challenge for me . The equipment in the gym that I use. The duration that I want to be in the gym. The intensity I want to work at. The combinations of equipment, time and recovery are endless. 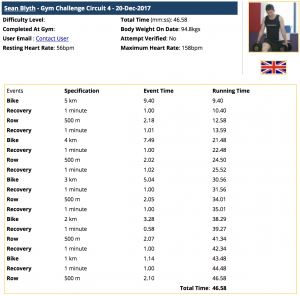 This particular challenge is not the perfect gym challenge, but it is based on the principles of what works to make the best challenge possible on the day. You can change it endlessly and the variations just add to your excitement of discovering the person you want to be. If I can continue my progress throughout next year and keep a strict eye on my nutrition then I should be able to maintain a healthy lifestyle that is both physically challenging and rewarding when I visit the gym. Be interesting to see what 2018 brings. 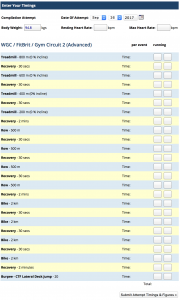 Will I keep to the program, or fail to achieve my ambitious plans to be on track with my fitness? I guess many of you are thinking the same. So to those of you who are looking at perhaps starting a gym regime beginning in the new year then , really learning how best to create gym challenges for you , certainly would be a good place to start. Any good coach will tell you not to over train. Its a sin. It should be avoided. You should not do it. Thats my take on it. Yet as much as I hate to say it. I struggle not to train consistently hard and there are thousands like me. Thats why the discipline in training is not to over train. Take a step back from the very hard physical training that you do and take it down a few gears. You will find surprisingly the benefit is has for you . How can training less increase your fitness? Lets remember we are talking less intensity and not volume. We are still in the gym for around an hour, only the heart is not working like V8 beast engine, more a subtle 2 stroke taking it easy. And this is important to allow the homiostatic body to recover in finding its own resting ability. If you keep flogging a horse, eventually it will collapse. However, let it out to pasture and graze, it will enjoy the full energy that it can delve into when it wants to. 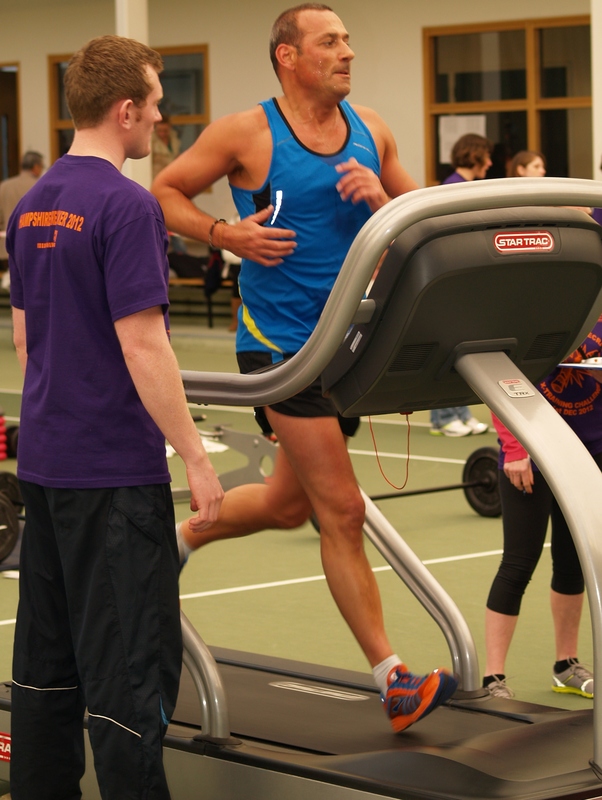 Training the aerobic system is as important as training the anaerobic system. Muscle tissue will react to rest and regenerate and allow the body process to start building again. But if you continually beast your body and do not recover adequately, you will ultimately suffer the consequences of poor performance. 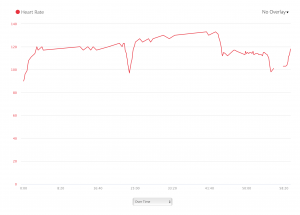 When wearing a good heart rate monitor set a target and do not go over it. 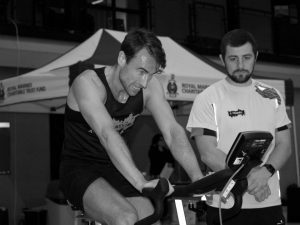 If you do not have a heart rate monitor, set a constant speed on the treadmill, or an rpm on the bike, or a slow pull ratio on the rower, but keep your intensity low. 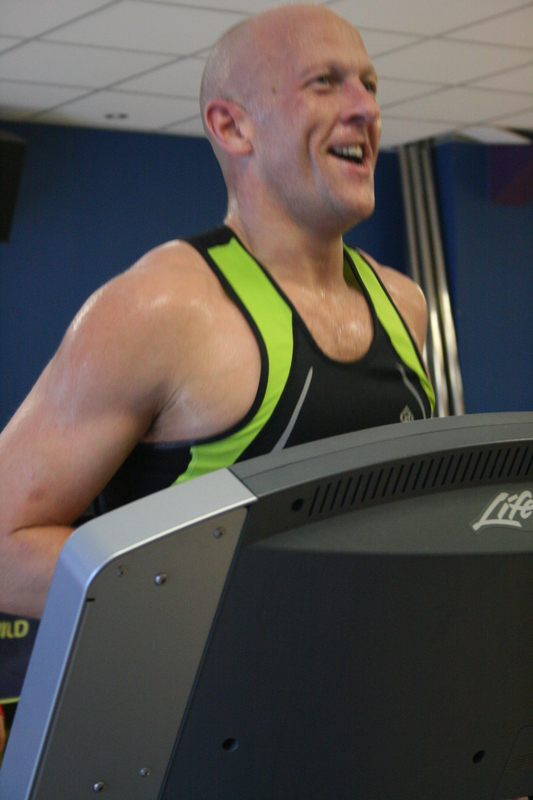 On the RPE scale you should be able to talk to somebody training next to you – even give them a friendly smile (but careful not to scare them!) Its very much always a learning curve in discovering just what LAC sessions are like and how to adjust them so its suits you . Each routine is focused on the body as whole. We are going to look at the full split circuit today. When creating a personal circuit you do in the gym, probably the most important factor is your gym layout and where you can safely carry out your circuit. Always make sure its feasible – going from a deadlift to benchpress for example relies on two areas of the gym to be free. 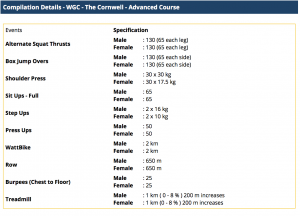 WGC always cater for a full gym in operation so that as a rule you can complete the circuits hassle free. In this case we used a bike, rower and a medicine ball. 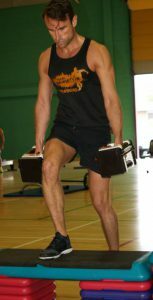 The gym had plenty of these – but there may just be the the odd occasion where its not possible to create a circuit, but it is possible to always create circuit. Sometimes creating a circuit that has too many splits and recovery breaks can be a bit time consuming, to enter in your WGC personal folder, so the full split circuit allows the bigger time based entry to be entered saving time in recording the information. 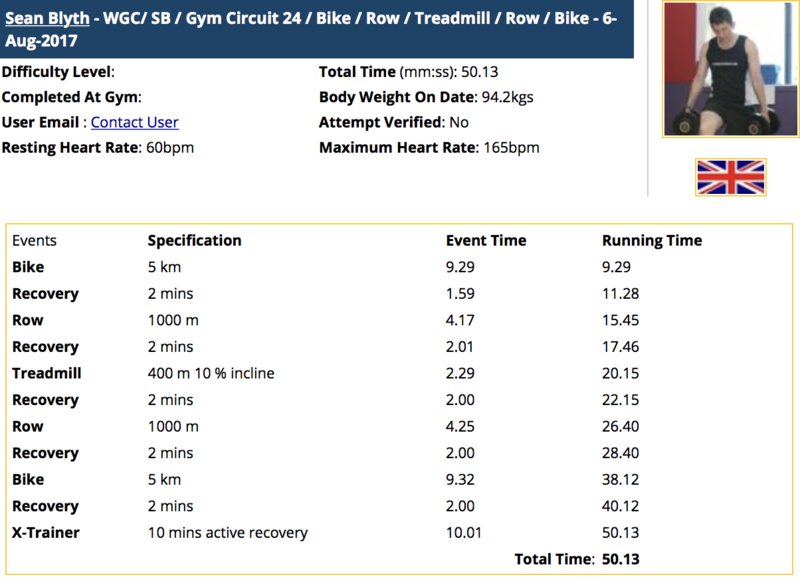 Any gym circuit that is completed in WGC relies on good working knowledge (based over time) of understanding your intensities and heart rate variation of exercise. This mean that no longer do you just cycle and look at the data in front of you , it means that at each stage you are focusing on your halfway splits and the rpm range. You will know at any stage where you need to pick up speed, cycle faster or maintain a steady rpm to reach your desired goal – all of this as you are cycling. Physically and mentally you are being challenged. 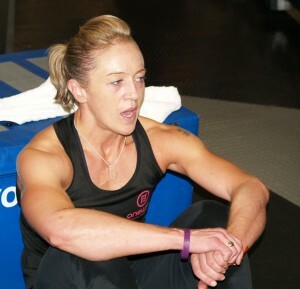 The same can be said for the rower and completion of the med ball press ups. In this circuit you will see High Intensity , Low Intensity and Sliding intensity as fatigue sets in. Depending on your fitness levels, the duration of each full split will begin to vary as will your heart rate. 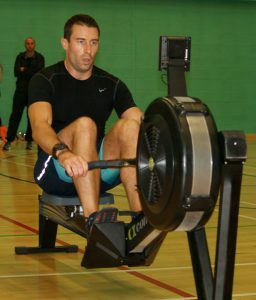 The split may well take longer but your heart will still be working at the same level so that means you are actually working at the same level physically, but because fatigue is setting in your split timings are slower this is the sliding scale of intensity and although your performance may be getting slower, the momentum of training is continued. Focus, motivation and achievement . These words are used a lot in training, but it is essentially the corner stone of each visit to the gym for a WGC athlete. There should never be a visit to the gym, that does not incorporate all three. To enjoy your visit you must feel like you have achieved something, you must be motivated throughout the session and during the session you must be focused. World Gym Challenge / How to construct the perfect Gym Circuit for you. 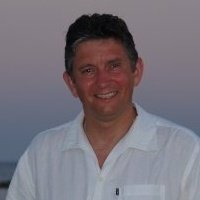 My name is Sean Blyth. I am the creator of World Gym Challenge. 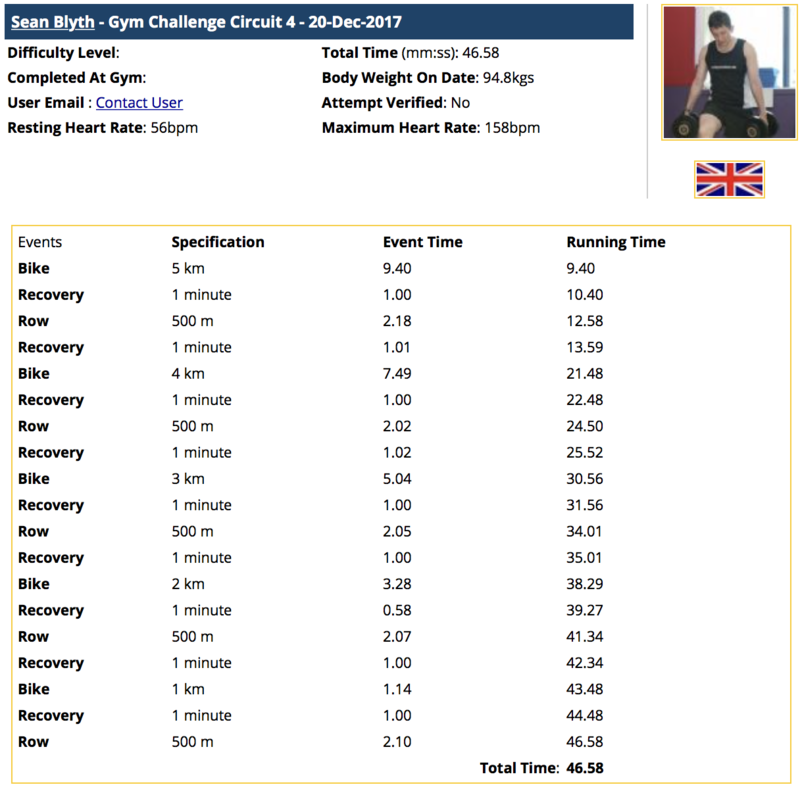 I have created the Online Database for gym challenges so that gyms can use them for their members to record results, or members can use them for themselves. In this case, we are going to look at how individuals can create the best gym circuits for themselves. 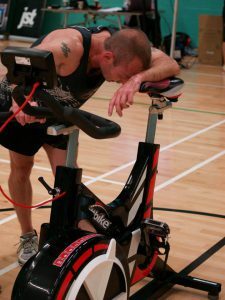 This blog is aimed at those who train in a gym, normally by themselves, without the need for a personal trainer and are wondering how to get the most out of their training. If you find yourself in that bracket read on. Search the internet for your own purpose if this is not for you. There is an abundance of specialised training out there on the internet. More often then not it is a paid for service. You tube is just awash with information and you can google more or less any workout to give yourself that edge and motivation. What’s the best way to train ? Ask any good coach what is the best way to to train in a gym and they will say – The one that keeps you coming back. Now that may be a dance class, spin , Zumba , circuit training .. well you know the list goes on obviously. So, its pretty well conclusive that you have to enjoy what you do to continue to do it. Preferably if it is free, then the chances are its even more of a bonus. Well the good news about World Gym Challenge is that our service is free. 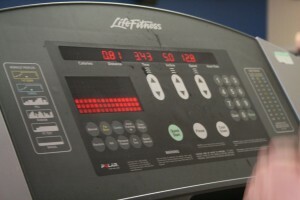 The equipment we offer for you to use, is free (as you are a paying member of a gym) and the workouts we offer are free. 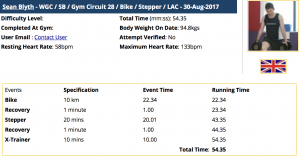 The only cost implication there is – is you must have a good quality sports watch or heart rate monitor, with a stop watch facility, as all of circuits are timed based. That is all the motivation you need. World Gym Challenge allows you to walk into a gym and find out just how fit you are and by benchmarking and keeping a record of all of your training , you will see over time if the workouts you do are actually working. Any gym that you walked into will provide you with a multitude of equipment and will entice you with the promise to get you fit. But the hard part is, getting fit is left to you. So, it makes sense to be able to walk in any gym, create a circuit and leave feeling like you have really enjoyed the experience and have a achieved something. Take a look at this circuit . 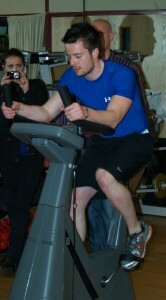 Incorporated in this circuit is The Bike, Treadmill and Rower. There is staged recovery and active recovery. The intensity is varied. And the circuit is bench marked. This means that every time you walk into a gym, if you so wish, you can do this circuit. 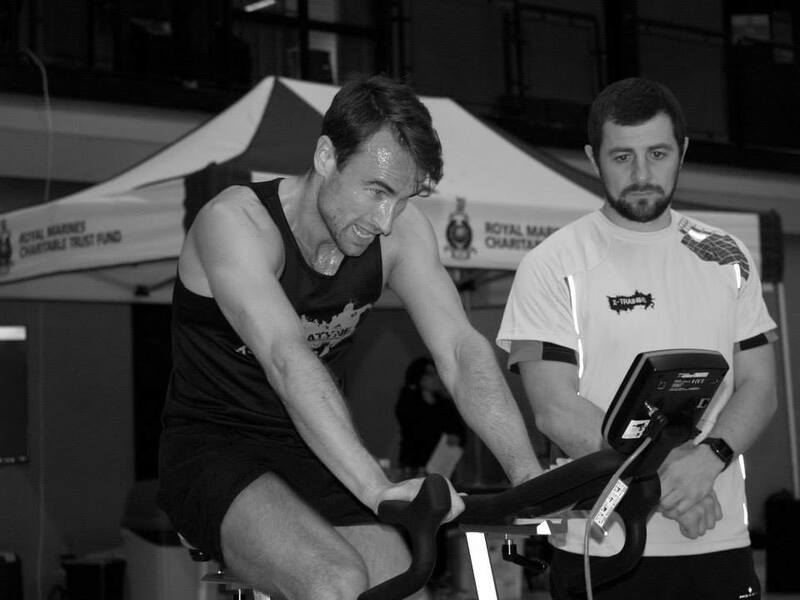 You will have know and what rate to row at, to cycle at and what speed to run at on the treadmill. All of this because you do the sensible thing of recording what you do when you go to the gym. There is an improvement of 22 seconds and we know this because we have benchmarked this circuit. All of this information is stored in your WGC account. 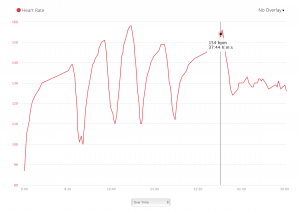 If you have a heart rate monitor you can record the intensity too and in this graph you will see there is a mixture of high intensity and low aerobic conditioning too . 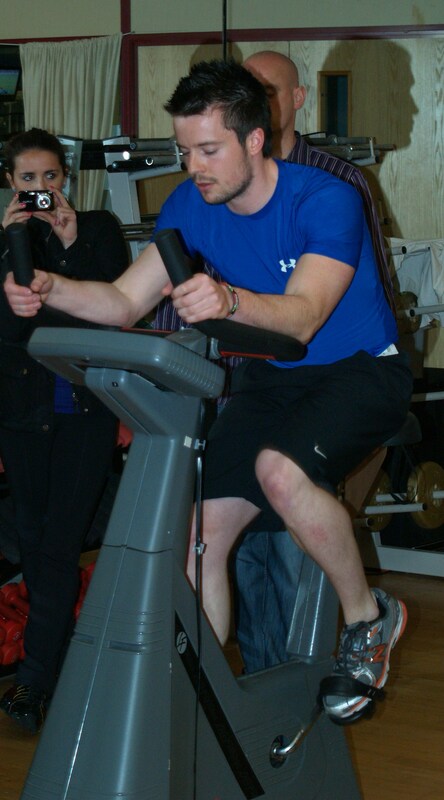 The bike acted as the warm up , there was then suitable recovery period of two minutes. 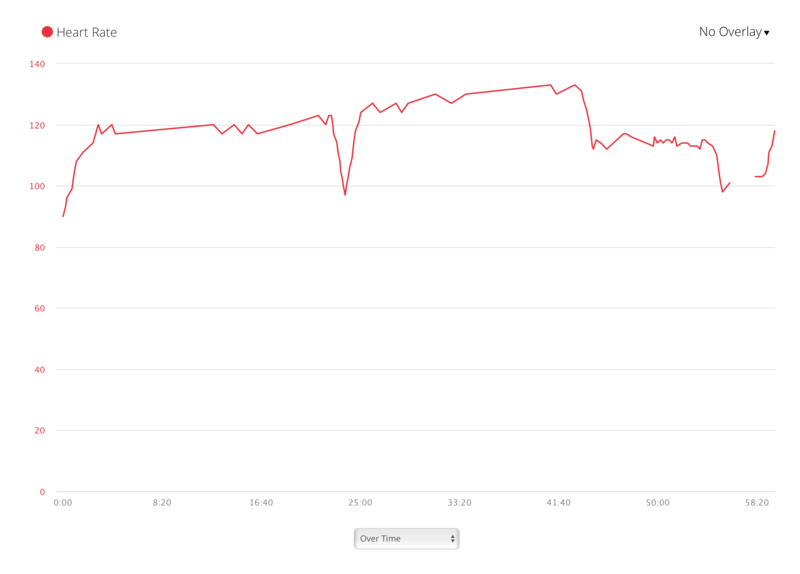 The Row was at a fairly hi intensity pace , with a suitable recovery phase . The treadmill was a full out burst of energy which needs training for, and reached the highest peak of heart rate. Followed by suitable recovery. 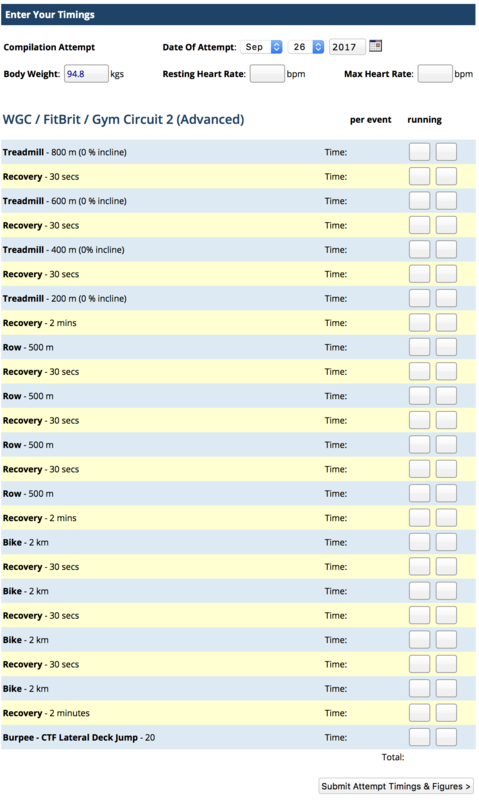 The trick is then to try and have the same time or better in the row and bike. 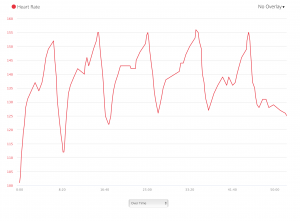 In this case I failed in the row, but achieved a better time on the bike. 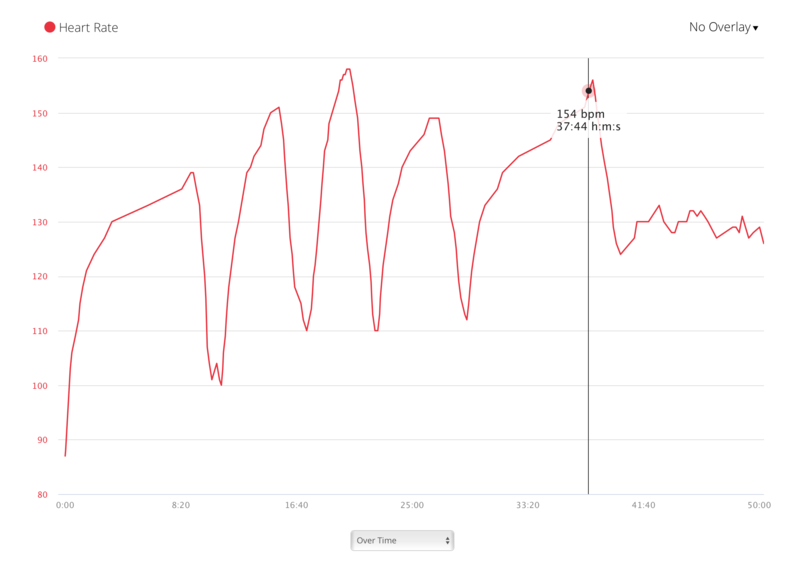 After the workout, a suitable phase of ten minutes on the X Trainer with a fixed heart rate of around 130 was completed. The equipment used is the equipment I am paying to use in the gym. The motivation and focus I have is all based around a time based gym circuit. At no time in the gym was I bored or unmotivated. I knew exactly what I had to do, the intensities I needed to be at and the recovery that I was going to allow myself. It is basically is the perfect circuit. 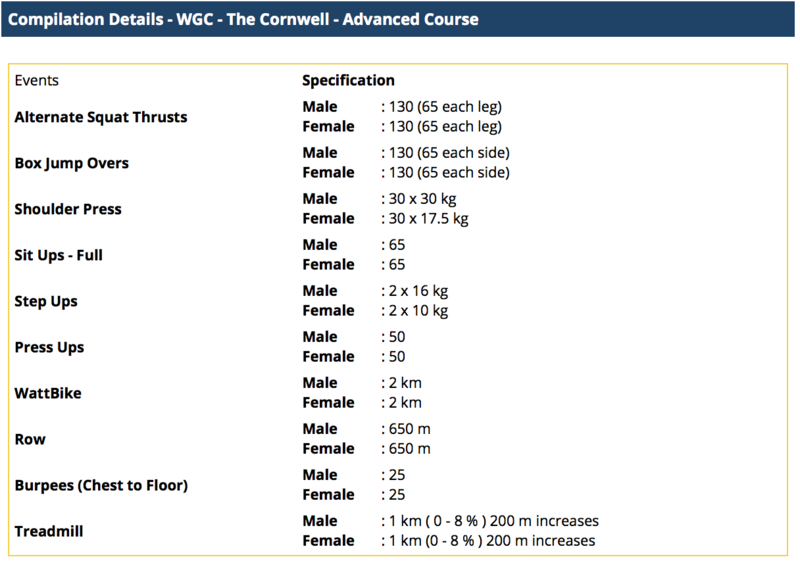 As you become a more experienced World Gym Challenge athlete, the format of your training, the exercise variation you choose and the time spent in the gym will be second nature to you . There are literally hundreds of circuits you can choose to do and finding the right one for you is the best circuit. 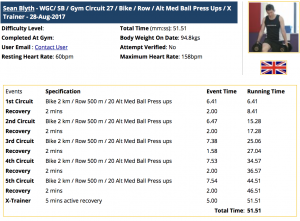 Author adminPosted on 27/08/2017 27/08/2017 Categories TrainingLeave a comment on World Gym Challenge / How to construct the perfect Gym Circuit for you.